University of Texas Press, 9781477313909, 336pp. 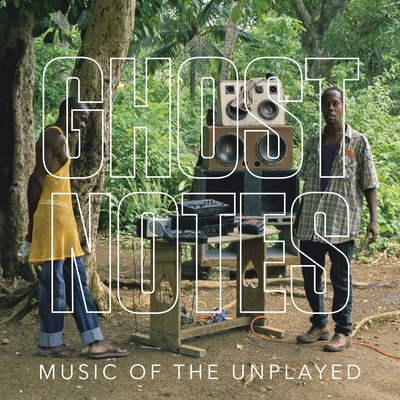 Ghostnotes: Music of the Unplayed is an extended photo essay with more than two hundred images that represent a mid-career retrospective of B+'s photography of hip-hop music and its influences. Taking its name from the unplayed sounds that exist between beats in a rhythm, the book creates a visual music, putting photos next to each other to evoke unseen images and create new histories. Like a DJ seamlessly overlapping and entangling disparate musics, Cross brings together LA Black Arts poetry and Jamaican dub, Brazilian samba and Ethiopian jazz, Cuban timba and Colombian cumbia. He links vendors of rare vinyl with iconic studio wizards, ranging from J Dilla and Brian Wilson to Leon Ware and George Clinton, David Axelrod to Shuggie Otis, Bill Withers to Ras Kass, Biggie Smalls to Timmy Thomas, DJ Shadow to Eugene McDaniels, and DJ Quik to Madlib. In this unique photographic mix tape, an extraordinary web of associations becomes apparent, revealing connections among people, cultures, and their creations.